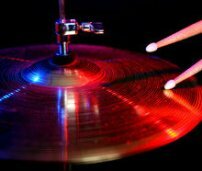 How do I teach my new drummer to snap the band down? Are there any good youtube examples? As in: "Alright band, bring it down". The drummer does the appropriate rim shot at the right time and the band brings the volume down. Anybody? Anybody? What you just said seems like it would be sufficient to let your drummer know what you want. Maybe some of our readers will have more ideas. I'm not sure you're getting it.. This is a matter of technique I'm looking for. While the funk groove is going on, the leader says, "Alright band, bring it down". Then the drummer does what is a traditional R&B rim snap and the whole band brings it down. So where does the 'rim snap' go? On "4". The drummer starts to count on 1 of the measure after your signal. You should end your signal before that 1.
listen to the leader? Bands are not democracies, regretably. to whoever is leading the tune. A lot more could be said....but again, the variables.